Kaufland’s differences with Unilever have escalated, with the Schwarz Group-owned banner announcing plans to stop stocking several of the manufacturer’s products over pricing issues. In 2018, Kaufland eliminated around 480 Unilever products from its shelves after failing to reach an agreement over proposed price hikes by the latter. The chain last week announced plans to delist several Unilever brands entirely as of 31 December 2018. 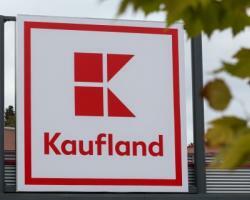 The move has seen Kaufland withdraw brands such as Knorr, Ben & Jerry’s, Magnum, Mondamin, Pfanni, Bertolli, Unox, Lipton, Langnese, Coral, Viss, Domestos, Dove, Rexona, Duschdas, Signal and Ax from its stores in Germany, with several of those brands no longer available at its outlets in the Czech Republic, Slovakia, Croatia, Poland, Romania and Bulgaria. However, the retailer said selected ice cream products from Magnum, Cremissimo and Viennetta “are still available”.